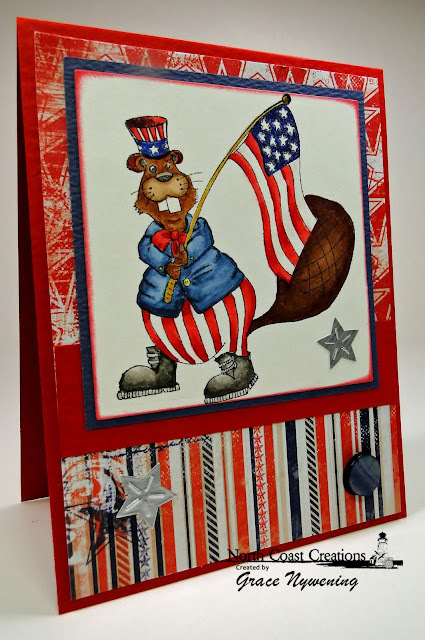 Th-INK-ing of You: North Coast Creations Blog Hop! Today is the GRAND OPENING of a brand new Website, North Coast Creations ! You may have seen the North Coast Creations Booth at some recent stamp shows, but today, some of the ODBD Designers are helping to launch the new NCC website with a blog hop! You now can purchase these fun stamps directly on line! The NCC new product line focuses on cute, vintage and whimsical stamps, created by our team of artists and graphic designers. This is a way to express our creative and artistic abilities in a new and fun way!! We will be updating our library regularly so check back often to see what is new! You can sign up for our emails on our website! Now...on to the Blog Hop details! There will be Three prizes of $20.00 Gift Certificates for stamps at the NCC Store! Hop to each designer, leave a comment for each one, and return to the NCC Blog to let us know you completed the hop! Let us know in that comment which stamp from the store is your favorite! Here are some samples I have made using the exclusive line of fun critters, available only at North Coast Creations! From here, your next stop is our Simply Southern Sweetie, Sandee! 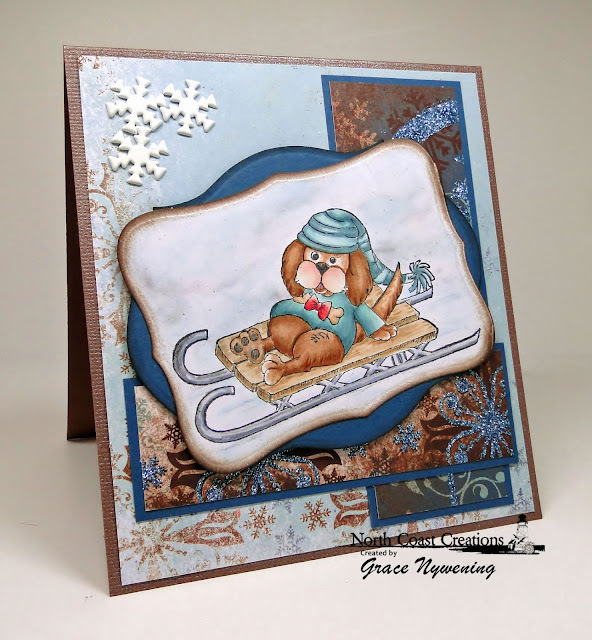 Grace, how wonderfully delightful your cards are! What cute critters! The stamps are so versatile! Thanks for sharing your card creations! Grace, you are amazing! Your artwork is always stunning! I love each and every card, but the balloons really knock me out!!! Mwaaah!! Love the cards!! The top note dog really looks like he's headin' down the hill top speed!! Great cards! I love them all but my fav is the Easter bunny. Cute, cute, cute cards! Love the images. The pups are adorable but I really love the patriotic beaver! So awesome! Love those puppy dogs, Grace. Your choice of colors and matching papers is perfect. Also wonderful shading of the images. These cards are both beautiful and so cute!!! Love your coloring and your layouts and papers are perfect!! I have to say Patriotic Buford is my fave but I think it is mostly because of your perfect coloring!!! Oh Grace!!! these are adorable!!! And your coloring is awesome!!! 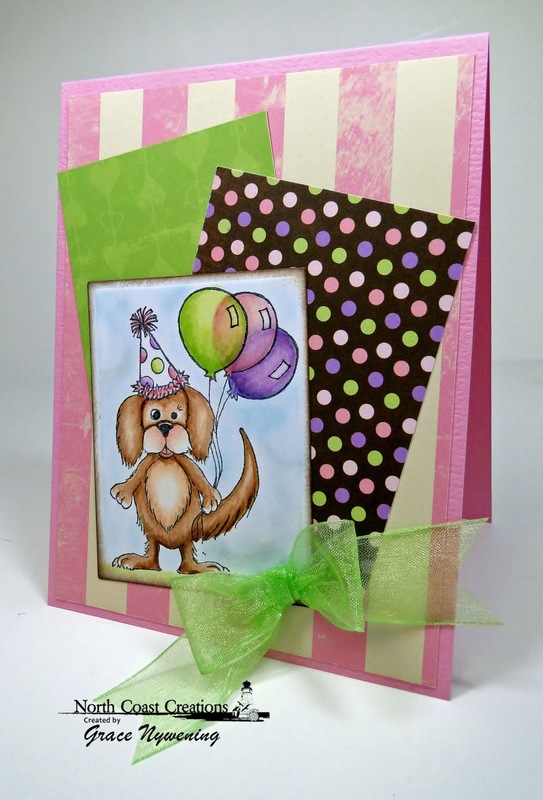 Very cute critters and cards! Grace, your card creations are so cute.They make me smile, made me laugh! Not sure what my fav it. They are all so cute, I just love how you colored the balloons in the first one, great job with the snow in the second, great patriotic card and such pretty colorful eggs! Such adorable cards. Wonderful colors. My animal loving daughter would love these! They are very pretty cards and love all the stamps that were used. All of these are just fabulous, Grace! So fun, so cute and so well done! Great colors and papers. How cute your cards are! Wonderful way of using these little guys. Cute critters! Love your blog, especially the music. Your cards are very cute...Love the new blog.. Very cute Grace! Fabulous way to showcase those critters! Your cards just "pop" with your color choices and the critters are adorable too! Love, Love, Love your adorable cards! My fave is the Birthday Pup! Your coloring is superb! Grace, I love your cards! Beautiful coloring and paper coordinating! those are just toooooooo cute!!! love them!! Like them all but my favorite is the Easter Basket Rini....adorable stamp and super card. Your cards are so adorable! Very cute! Your cards are so cute and colorful. Love your background music. Danced to this song with my son at his wedding!!!! These critters are adorable! Fun and pretty cards, too! Your work is fantastic. The coloring and color selections are awesome. Such a great job. Such fun and beautiful cards! I must agree with others - your coloring is just amazing! Your cards are just delightful, they would tickle anyone's fancy to be on the receiving end. 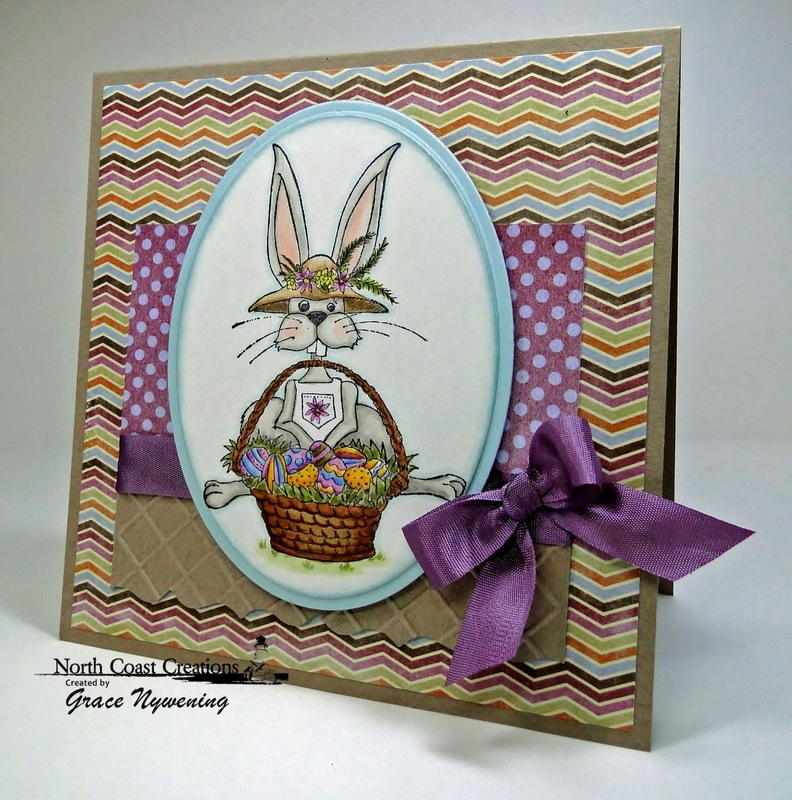 I just love your Easter Basket Rini card. Thanks for Sharing. Adorable cards! I especially like Murphy! Grace, Your creations are wonderful! OMG..these creatures are adorable and your cards so fun!! Thanks! Grace, the cards are all so cute. I love the images and you have colored them so beautifully. What a smorgasboard of beautiful cards, each and every one! Love your choice of paper and the coloring is superb. Each one so unique and just stands out in it's own accord - puts a smile on my face this eve! Wow, Grace, your cards are "da bomb"! I just love these sweet critters, so darling. And I love the way you presented each and every one of them...so creative you are! They are all so cute - I love seeing a different side of your design style. Oh, so cute. Great layouts! And by the way I love the music on your blog! Murphy is adorable!! Love how you have shown off these critters! Wow, Grace you knocked it outta the park! All your cards are just adorable as well as all the new stamps, TFS! Love all these critter stamps. They are too cute!! Wow! What cute cards. looks like you had fun with these new critter stamps. They are so adorable. Congrats on the new company ...and what awesome cute lil critters....Such sweet cards Grace!! How fun are these. Wonderful cards. I love all your details and your coloring is amazing..